Sen. Mike Crap will be holding Town Hall style meetings across Idaho this week. That makes this week an excellent opportunity to let Sen. Crapo know that Idahoans continue to be opposed to the outrageous monstrosity that the Standardized testing mandate has caused under No Child Left Behind (NCLB), as well as an opportunity to stop this testing insanity by encouraging him to vote no on the upcoming NCLB renewal known as the Every Child Achieves Act (S. 1177). 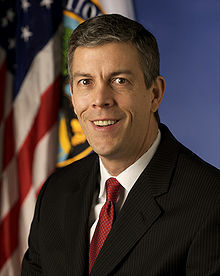 Such policy has a multitude of negative implications witnessed through NCLB’s abject failure including the current policy of a connecting state compliance of annual testing to the federal money spigot administered by the US Secretary of Education, Arne Duncan. This relationship results in a significant ability for DC to control schools through the use of awarding funds only if schools are in compliance with certain benchmarks, of which the sacred cow of annual standardized testing is the cornerstone. Through this financial mechanism, Idaho and its districts are essentially tied to follow federal directives including the implementation of Common Core State Standards and implement the annual testing mechanism to assess these standards through the Smarter Balanced Assessment Consortium. While assessment, in itself, can certainly have positive implications, in this case the consequences of these tests have been disastrous. No Child Left Behind requires that all students demonstrate 100% proficiency in reading and math; an outcome (while well intended) was doomed to fail from the start. 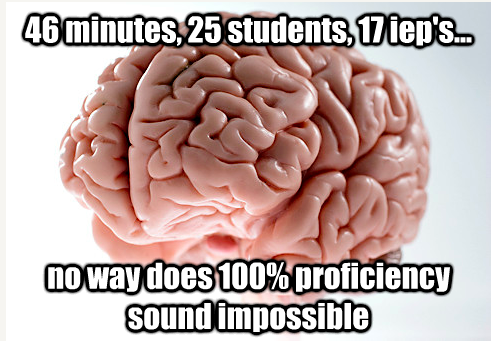 The consequence of not having 100% proficiency means that states must submit to a waiver–a waiver whose conditions are set by the Secretary of Education (Arne Duncan)– not the US legislature. The current conditions of that waiver requires states to submit to a federal set of standards, submit to an annual examination assessing student proficiency of those standards, as well as other conditions. This results in Idaho, and its independent districts, giving up local control; control never meant to be in the hands of the federal government, let alone a single appointed Secretary under the Executive. For Pearson and other standardized test makers such a policy has been a windfall: As long as states have to test annually, and as long as it is a forgone conclusion that the benchmark will never be met, corporate profit shares will only continue to increase in valuation. 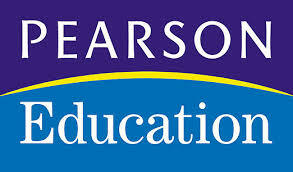 According to Forbes, annual testing in k-12 has become a 2.5 billion dollar industry, of which Pearson is the foremost leader according to the most recent data available. Keep in mind that Pearson in particular has a stellar track record in Idaho for designing both the State’s longitudinal data management system (ISEE) and Instructional Data management system (SchoolNet) at a combined 73 million dollars which were so fraught with dysfunction that literal boatloads of money and years of mismanagement later, Pearson left Idaho with a pipsqueak announcement that it had done all for the systems that it could (translation: we screwed up) and that they would no longer be working on the system (translation: we’re taking your money and getting out of this state). Yet, for schools, the consequences of using the standardized test scores as the single indicator have been disastrous. This is particularly for schools working with minority and at risk populations such as low income, English language learners, migrant families, and special education students. These students have a variety of factors completely outside the control of the school and teachers that make them especially prone to not necessarily having stellar test scores, but a failing test score carries the same result, regardless of the population of students. Instead of creating mechanisms to encourage more resources–including excellent teachers–to work with these populations, the consequence of the annual test scores means less resources (remember Annual Yearly Progress [AYP] Jail?) for the students who need the most support, and a flock of temp-teacher TFA (Teach for America) employees to teach to the test and “improve” school scores. Unfortunately, the re-authorization of NCLB through the Every Child Achieves Act leaves the lunacy of heavy handed standardized test score consequences in place. Let’s make sure our federal representative, Sen. Mike Crapo, knows that this is a raw deal for not only Idahoans, but all of America’s students. Keep in mind that Sen. Crapo has already showed some cards in his hand in opposing the status quo that essentially coerces Idaho into adopting CCSS through tying the adoption of such standards to the US Dept. of Ed’s Race to the Top money spigot. 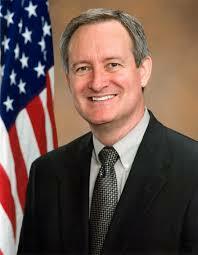 Back in January, Crapo and federal sentators introduced legislation that would prohibit such practices. That is excellent news because it reveals that Sen. Crapo understands the value of state and local control when it comes the education of students in Idaho. Let’s make sure he knows he has our support in voting no on the Every Child Achieves Act (S 1177) until the annual testing provision is eliminated. Since No Child left Behind was enacted, we have witnessed the results of utilizing standardized tests as both carrot and stick. A carrot through Secretary Duncan’s emphasizes of giving dollars to schools willing to embrace common core and high stakes testing. The result has been a disaster. Using New York State as an example, that approach has resulted in only 30% of students being labeled as “proficient” (Idaho has not released any public data on score outcomes; this will be the first year it will be released after students test in spring). Vice versa, the big stick approach of holding schools responsible for standardized test scores through withholding dollars and placing schools in Annual Yearly Progress (AYP Jail) has been equally flawed. Schools serving the hardest students, schools with a high percentage of special education, English-language learners, low socio-economic, and “at risk” students were the hardest hit by such a strategy. In an outcome that surprised precisely zero individuals, those schools working with the hardest students had the lowest scores; an outcome that resulted in the feds withholding money from precisely the schools that desperately needed the most resources to help their students succeed. 6 Months later, now in June, that is still true more than ever. Below is Sen. Crapo’s traveling town hall schedule. Please attend and let him know that until the annual testing mechanism is removed, the Every Child Achieves Act is doomed to have the same failed outcome of No Child Left Behind. Victoria Young, an incredible Idaho education advocate and author of The Crucial Voice, has some excellent talking points to ask Sen. Crapo and/or share with him during the meetings available on her website. Please take the time to let Sen. Crapo know, in person, that we can do better for Idaho’s and all of America’s children by saying no to the annual standardized testing mechanism and start putting children over profits. This entry was posted in High Stakes Testing, Legislature, Reform, sbac, TFA and tagged Common Core, Crapo, ECAA, Every Child Achieves Act, NCLB, Pearson, SBAC, Teach For America on June 28, 2015 by Levi B Cavener.